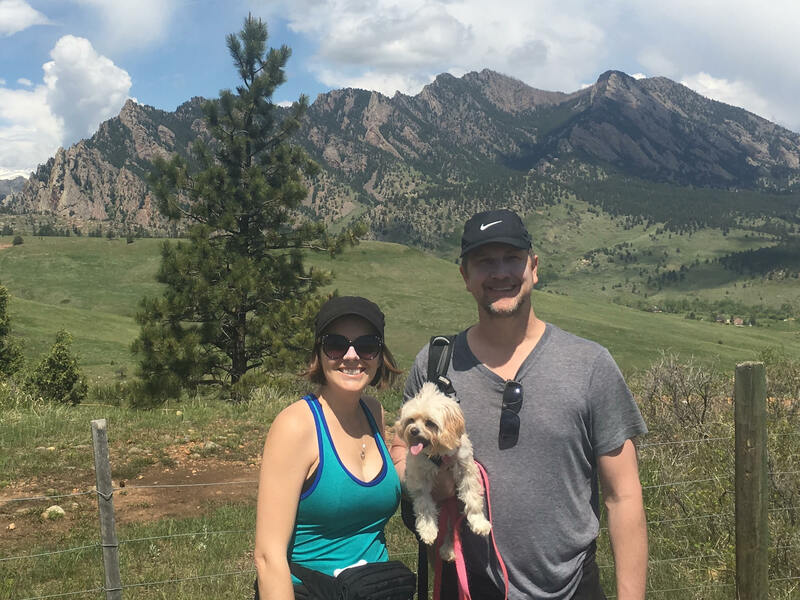 One of the many (and most important) lessons we’ve learned from being on the road and living full-time in an RV is that you can only plan so much before fate steps in with her own plans (while laughing ominously, shaking her head and saying “Silly humans!”). Our agenda definitely did not include a devastating leak with our travel trailer. We should have been staying in Florida by now. But, since we have to wait before we can take our trailer in to have the leak fixed, we’ll be anchored in Georgia for several more days. We also wanted to visit the nearby Tybee Island and made this our first stop. With 5 miles of public beach and a location just 20 minutes east of Savannah, Tybee is rightfully known as “Savannah’s Beach.” However, after seeing Hilton Head Island, Tybee Island was rather disappointing. There were a few touristy shops and bar-type restaurants. Other than that though, there didn’t seem to be much else to see or do on the island. And as for the beach itself, reaching it required a lengthy walk on a boardwalk over sand dunes. Also, there was no free parking – even Arby’s had parking meters! Unimpressed with Tybee Island, we returned to downtown Savannah. The first time we were in Savannah was on a weekend. Bad timing. It was extremely congested, and we couldn’t find parking. This time, however, we were there on a Friday, which surprisingly, made a difference. We were actually able to park on the street and do a little walking. Downtown is challenging to drive through (especially with a truck). With all the squares, one-way streets and crosswalks, the best way to see Savannah is probably by trolley, a horse-drawn carriage ride or by strolling around. Savannah is an ideal city for walking. The city has unique restaurants around every corner and copious amounts of historic charm, including Victorian houses throughout the neighborhoods. I adore Savannah and would consider living in the downtown area if it wasn’t so cramped and congested. Even though we won’t be moving to Savannah, we savored our time there. 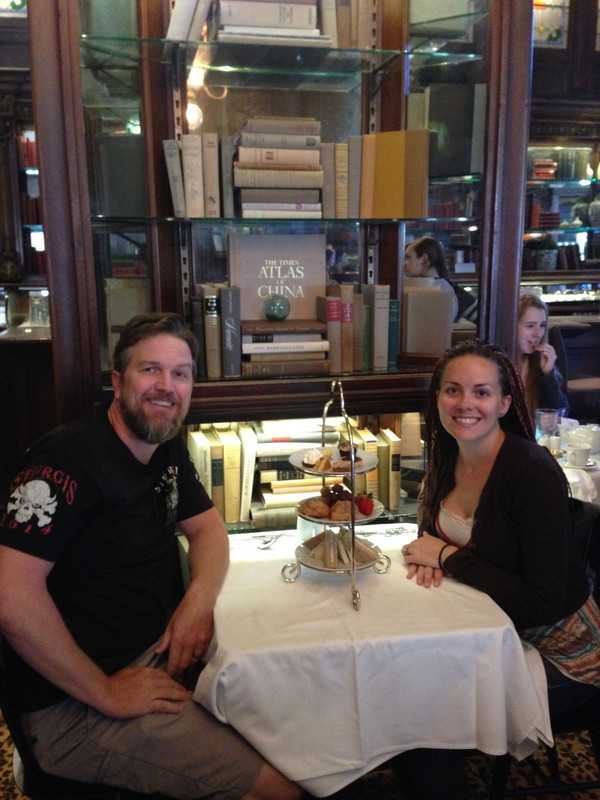 To indulge in the Southern charm of Savannah, we had afternoon tea at the Gryphon Tea Room. Entering the establishment felt like a form of time travel, transporting us to a time long past. Once an early twentieth century apothecary, the restaurant still features remnants of the original pharmacy, including an antique decor, stained glass windows and carved mahogany bookcases. The setting was perfect for a tea room. Sadly though, the single best part of our tea time was the ambiance. The food was disappointing, and the service was literally the worst we had ever been subjected to. We were ready to walk out due to the extreme lack of customer service we received. However, the manager was extremely apologetic and treated us to our meals, somewhat salvaging our experience. While this was not the enjoyable afternoon tea we had been hoping for, it in no way detracted from our appreciation of the lovely city of Savannah. Some people may think we’re on an extensive vacation. However, traveling on the road non-stop can really feel like a full-time job at times with all the planning, driving, navigating, etc. Don’t get me wrong! We truly love exploring, meeting new people, and seeing and experiencing different places. But, we need a day off here and there to unwind and just simply relax. Plus, every once in awhile, we also need time to catch up on basic duties, such as laundry, errands and other chores (good times…haha!). We used these two days for a little of both. Thanks for following along and checking up on us! Traveling on the road and exploring the country has turned out to be very time consuming, and internet reception has been unreliable. I’m still blogging though! I’m just I’m extremely behind (ooops…sorry!). I’ll get up-to-date eventually. However, I just posted a new blog, so that helps! 🙂 Check out the latest blog post here: Days 149-150: Georgia & Florida . Savannah is GREAT….great food, architecture, people. Hope you enjoyed yourselves! We LOVED Savannah! So charming!